A young girl’s 15th birthday is an exciting event celebrated lavishly by many. They consider this age as a transition to womanhood. There is a long to-do list when planning a Quinceanera party, but nothing is as significant as looking for the perfect Quinceanera dress. Here are top 4 tips to guide you in choosing the perfect Quinceanera dress. 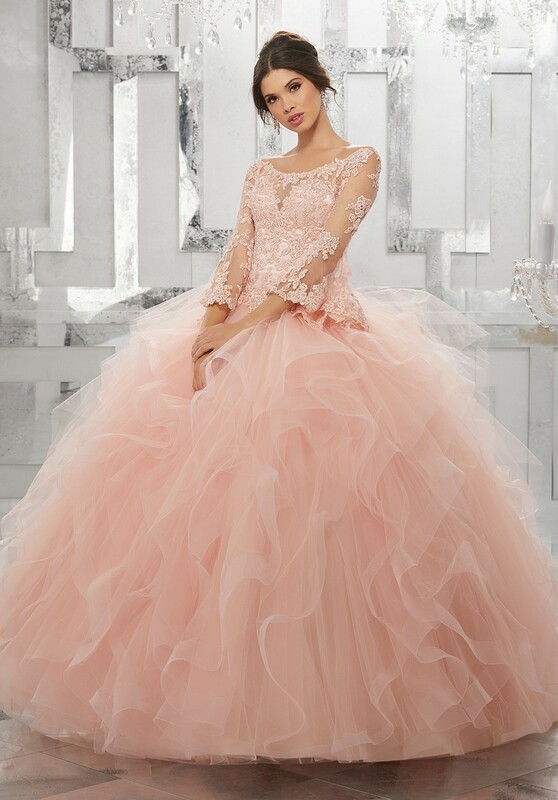 Also, check out Madame Bridal Quinceanera dresses for that perfect outfit for your monumental day. It is best to consider the budget for the dress most especially that your parents are the ones spending for it and the party. So to save time and effort in finding that perfect ball gown, agree on a particular budget. That way, choices will be narrowed down to a price range. You only have to look in shops carrying the budget that you chose, and it spares you from looking at really pricey gowns and a lot of frustration. Also, keep in mind that expensive does not always equate to beautiful. You can still find one which is reasonably priced but suits your taste perfectly. Look for a dress you feel comfortable in. Remember, this is your special day. You wouldn’t want to spoil it because you are not satisfied with your dress. Make sure that the fabric of your dress is comfortable enough for the weather. And lastly, you should be able to walk, dance and sit with ease in your dress to feel confident in front of your family and friends. 3. Accentuate your body type. Try on different types of Quinceanera dresses to know which accentuates your body type. A classic Quinceanera dress is the ball gown. Made of full and flowing long skirt matched with a sweetheart bodice, it usually works with all body types. The A-line skirt with sweetheart bodice looks suitable for all kinds of figures as well. For girls with big busts, a comfortable choice would be dresses with straps or illusion tops. Short girls usually prefer strapless gowns. But it does not matter what body type you have as long as long as you feel good wearing your dress to last you all throughout the dancing and all other meaningful events of your special day. 4. Choose the right color and fabric. Traditional Quinceanera dresses are usually white or in pastel shades with intricate beadwork on the bodice and frilly skirts. But modern-day gowns come in varied colors and designs. Choose one that complements your skin at the same time also matches the theme of your party. Since this is your big day, you are allowed to stand out. It does not matter whether you choose a big, fancy princess-style gown or a highly-beaded,sparkly ensemble, as long as you savor the day of your transition to womanhood. One thing is for sure; there is always a lot of detail placed in a Quinceanera dress. Looking for the right gown should now be a breeze if you keep in mind the tips above. You can finally tick one crucial part from your Quinceanera party planning list. Finding your perfect dress is one step you are taking in that transition from girlhood to womanhood, which this particular event is all about.